Boogie Board's patented Scribble n' Play eWriter eliminates the need for scrap paper, construction paper or notebook paper and allows kids to write and create in color. The durable, ultra-light writing screen is engineered to feel just like writing with pen on paper. 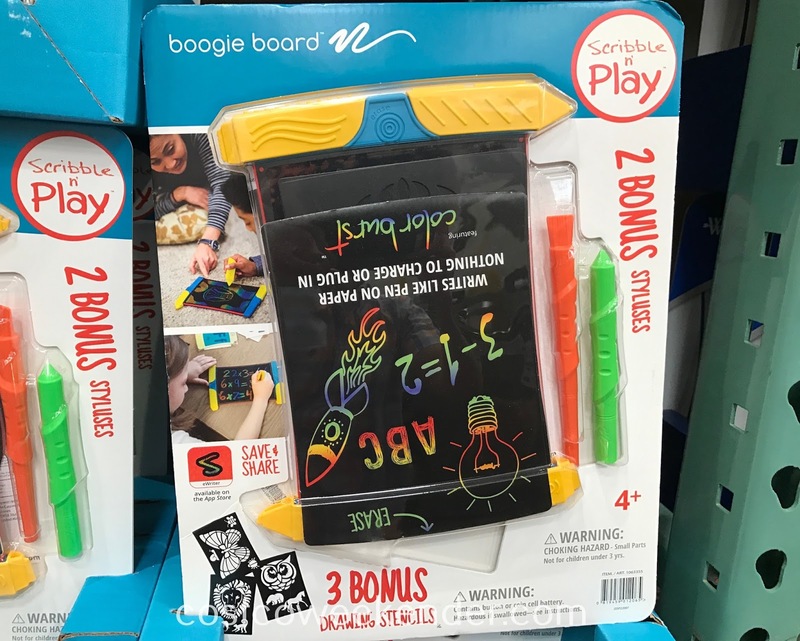 The sturdy, integrated case and stylus keeps kids organized and prevents the board from slipping around making it great for use at home, on the go and even outside. The writing stays on the screen as long as you need it and can be erased with the touch of a button. Create again and again, without the need to charge or connect. Save your content with the free App and share with family and friends. 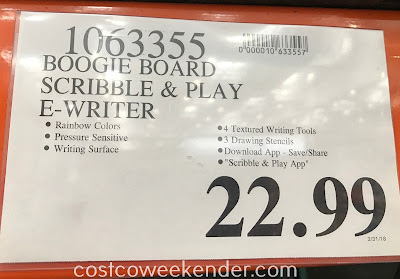 If you have kids, then you've probably already had to deal with their asking you for an tablet. Of course explaining to them that such a device costs a lot more money than what they actually need will just go in one ear and out the other. A good alternative is to get them the Boogie Board Scribble n' Play eWriter instead. 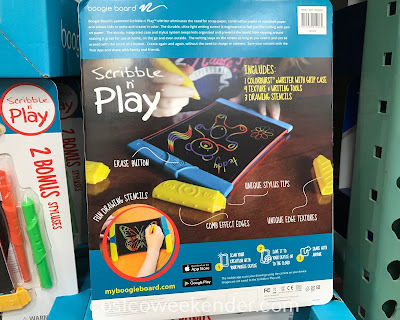 It's inexpensive and will allow them to write and draw as if they were using an iPad. 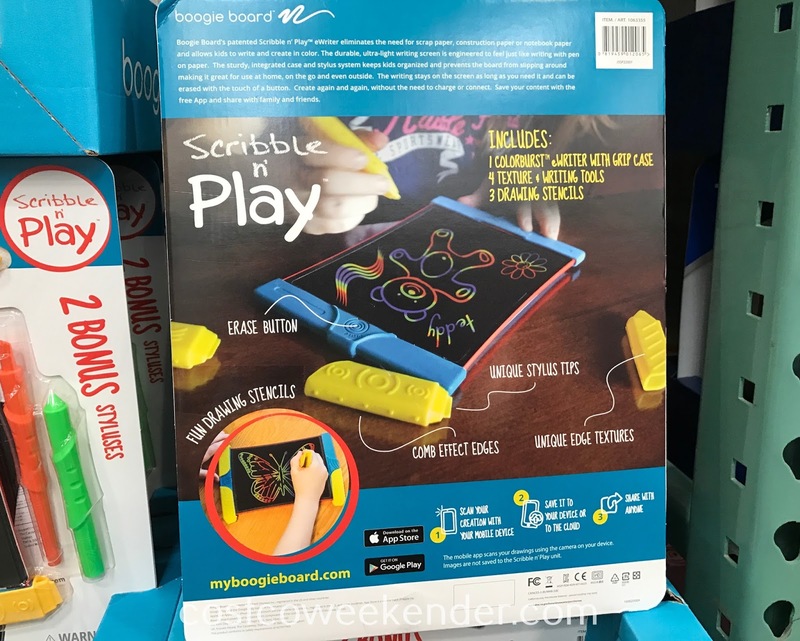 The Boogie Board Scribble n' Play eWriter will bring out their creative side and will give them something to do while not actually putting them in front of a screen. They can even save their artwork using the app that comes along with it.